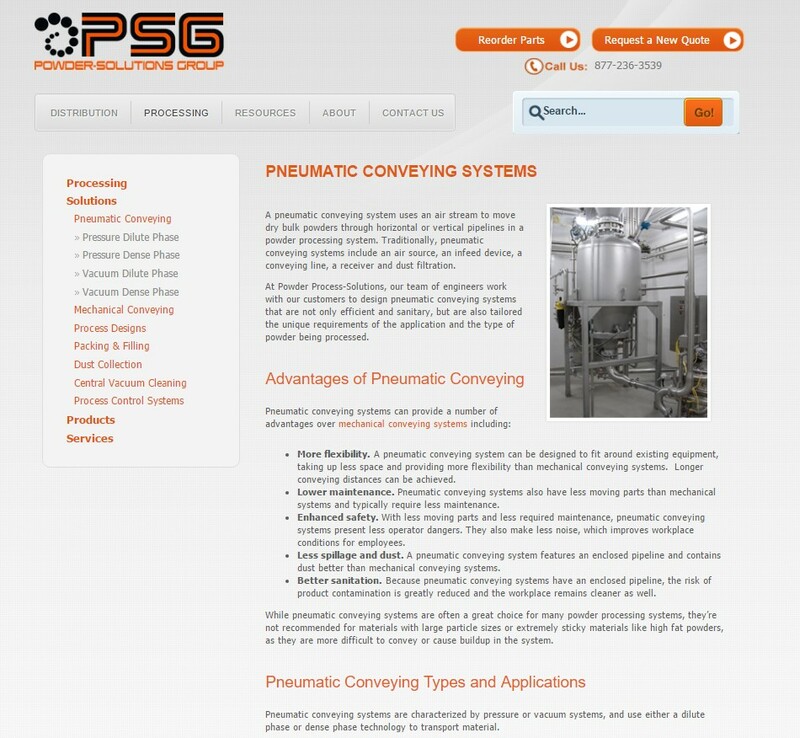 For more than 45 years, Powder-Solutions Group and its sister companies have been providing innovative technology products and solutions to powder processors across a wide range of industries. While a recognizable name in their industry, Powder-Solutions Group partnered with TopRank Marketing for an integrated content marketing program to continue to increase search visibility, and drive traffic and leads. In order to accelerate ongoing growth of search traffic within a mature industry, TopRank Marketing crafted a unique campaign strategy to go beyond boosting search visibility and drive all program goals. While a traditional approach to optimizing on-page content could’ve lead to moderate increases, TopRank Marketing determined an integrated campaign could drive more results and ROI. To begin, TopRank Marketing identified the keyword opportunities that were most attainable and could yield the highest reward. Our team then dug into search results for a number of specific keywords within the group to understand content structure and search intent. From there, both content and SEO team members worked together to craft a content plan and structure. The anchor piece of the campaign was an SEO-driven power page, aimed at educating the audience and highlighting Powder-Solution Group’s offerings and expertise. In addition, blog and email content was created to support this page and create quality cross-linking opportunities, as well as touch their audience at multiple stages in the buyer’s journey. If you would like help developing an integrated content marketing strategy, contact us today!